By Lorraine Kerslake. Taylor Fracis Limited. 2018. 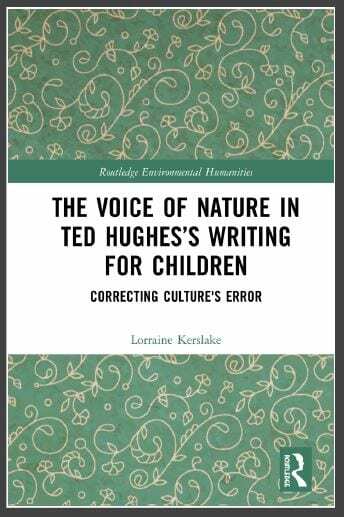 This book identifies the importance of Hughes’s children’s writing from an ecocritical perspective and argues that the healing function that Hughes ascribes to nature in his children’s literature is closely linked to the development of his own sense of environmental responsibility. This book will be the first sustained examination of Hughes’s greening, providing a detailed reading of Hughes’s children’s writing through his poetry, prose and drama, as well as his critical essays and letters. In addition, it also explores how Hughes’s children’s writing is a window to Hughes’s own emotional struggle and personal crisis, as well as his environmental consciousness.